Review: Mainz man (sorry) DJ Arg is undoubtedly one of Germany's foremost purveyors of full-throttle, mind-altering acid tracks - a kind of one-man, 21st century Hardfloor, minus the bombastic techno drums. 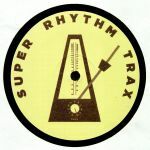 Here he brings his titanium-plated take on jack-tracks to Super Rhythm Trax for the very first time. He fires a volley of warped TB-303 lines and clanking Phuture drums towards hipster DJs on opener "Trend Cnuts", before offering a deeper, wonkier and even more trippy assault on the senses via the drum machine handclap heavy hypnotism of "Pervers". Side B opens with the ghostly bounce of thrillingly loose mind-melter "Kimmi", while EP closer "Strobo-Acid" does exactly what it says on the tin. 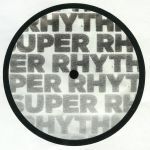 Review: Getting things back to basics and ramping up the ravey qualities in his productions, Jerome Hill is clearly having fun with these Super Rhythm Trax releases, letting go of anything too deep and focusing on loud and lairy bangers that make all the right moves in the biggest way possible. "Paper Bag Acid" positively masters delivery of 303 nastiness, ramping up the filter and firing off the drum fills with abandon and yet never sounding pastiche as opposed to straight up jacking. "Dustbin Acid" is a masterclass is working the drum machine for the ultimate energy rush in the time-honoured tradition, and then "Bully Beef" drops a much dirtier kind of sound full of guttural kicks and distorted vocals for the more deviant players in the acid game. 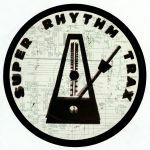 Review: Those well versed in ghetto house history should know all about Wax Master Maurice, a Chicago originator who released a string of on-point EPs on Dance Mania throughout the second half of the '90s. This surprise 12" for Super Rhythm Trax marks his first appearance on vinyl since 2008's footwork-inspired Waxmaster Make 'Em Juke EP. The material here is closer in tone to his now-classic releases, though there are some nods to B-more club (see "Otis Ghetto House") and, of course, the juke movement of recent years ("Keep On Jukin"). 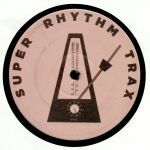 Naturally, all six tracks are formidably club-focused, brilliantly combining chopped-up samples (snaking sax lines, bits of old funk records, looped vocal snippets) with the kind of boundless, energetic rhythms that send Chicago dancers crazy.